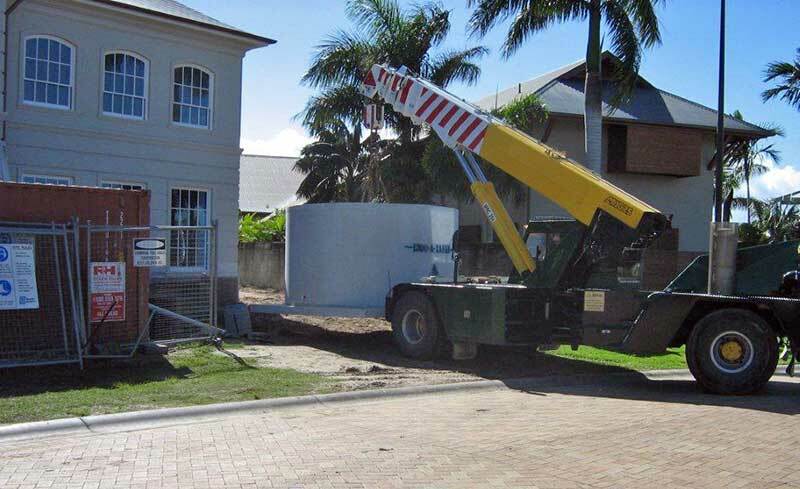 Along the Eastern seaboard, and to the mining regions in the West, astute residential buyers regularly use the Australian Tanks range of water and waste water storage tanks, sewer and stormwater pump stations in residential developments – providing effective space saving solutions which are long term and compliant to all local council requirements. At Australian tanks we pride ourselves on thoughtfully prepared and cost effective tank solutions, offering excellent customer service and honest and open communications. When all of the issues associated with an underground tank are addressed you may well discover that Australian Tanks will save you money and time, providing a customer focused experience from a group that actually cares and with as little or as much help as you require. We are not the biggest but we definitely see ourselves as one of the best and our goal is ongoing work and future referrals for doing a great job. We see that our approach separates us from the competition and if you are after the complete picture, then please call Australian Tanks. 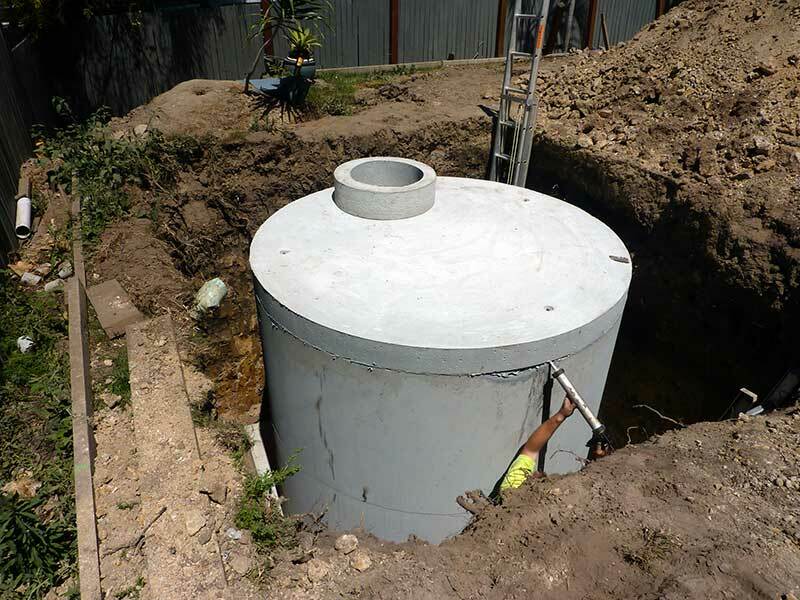 All Australian Tanks are built to Australian Design Standards and we use best practice products and materials – our tanks end up with concrete well over 50mPa and can take trafficable loads. If you are thinking of how to address the water needs in your new home then talk to one of our qualified sales team to get the right answers the first time. With building blocks getting smaller and the homes bigger, often the most practical solution for the clever home builder may be to install an underground tank. ​Make sure that your tank can take the required load – will a furniture or garbage truck be driving over it? Will you want to park the caravan near it or will the tradesman or contractors machinery ever need to drive over it. Take the worry out by installing an “Australian Tanks – Extra Heavy Duty Tank” Remember to be aware of the dangers of putting an inferior tank underground and always ask for proof of the load rating of the tank you buy. All Australian Tanks are built to a minimum load rating to take a small truck and most can take a fully laden semi trailer driving over them. Will you be able to have enough soil over your tank to allow for good growth of grass or plants or to meet required levels? Many suppliers put restrictions on the tanks they supply – check the fine print if they require you to leave the tanks 1/3rd full of water at all times. This is to avoid the tank rising up out of the ground. The Australian Tanks extra Heavy Duty Tank will come with our innovative and unique anti-floatation base that allows you to use all your water and never be concerned about the tanks rising up out of the ground. 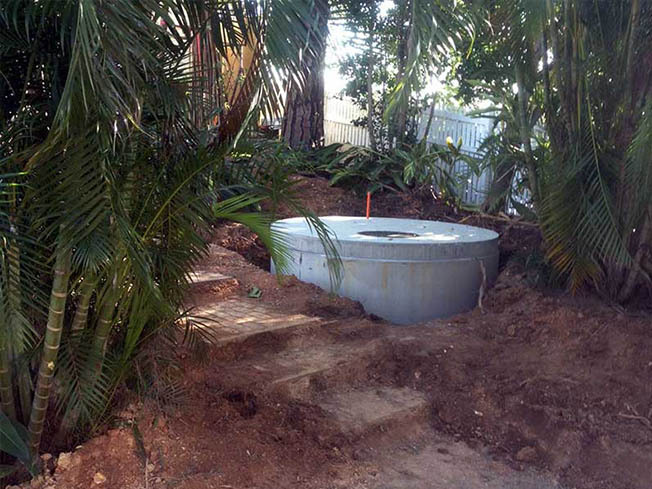 Australian Tanks offers certification that our entire range of pre­-cast tanks are built to allow them to be fully empty in 100% saturation when backfilled correctly. ​Make certain that you have received a full and final price and there are no hidden costs. We pride ourselves on customer service and relationships. 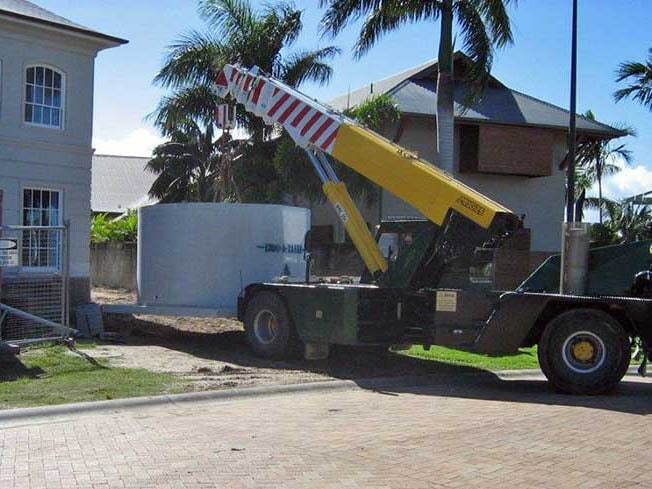 Whether the tank is required to supplement your existing water supply or to replace town water, or to use as a pump-out tank or detention tank, then feel confident that Australian Tanks will discuss in detail your requirements and provide a smart, cost effective, informed and trustworthy solution.